By Joe Esposito on January 31, 2018 for the Fordham Ram. Last year, members of the Fordham community, faculty and students included, sat down for strategic planning to discuss future goals and current strengths of the Gabelli School of Business. Attendees agreed with Donna Rapaccioli, dean of the Gabelli School of Business, who said that Fordham’s commitment to social innovation sets the college apart from others. “Sustainability is an important element of social innovation; it involves the understanding that processes that respect people and the environment are our best bet for long-term success,” said Rapaccioli. Fordham University is an Ashoka U campus, a title given to 45 universities in the world deemed change-makers. Fordham received the title in recognition of its dedication to social innovation and sustainability. According to Dean Rapaccioli, no major rankings address social innovation or sustainability directly. While this is the case, students are still committed to these issues. “Right now, none of the major rankings addresses social innovation or sustainability directly, but that may change as these principles become more valued and prioritized by prospective students,” said Rapaccioli. Max Lynch, GSB ’19, a student who works closely with Fordham’s Social Innovation Collaboratory, said that, while traditional aspects of academics factored into rankings are important, pursuits in these other areas have proven meaningful. According to Professor Michael Pirson, the interim area chair of leading people and organizations at Gabelli and a scholar in humanistic management, we are using more resources than the planet has at its disposal every year. “We must shift our approach to organizing and creating impact,” he said. Students are choosing to tackle these issues in many ways, according to Pirson. Some go to graduate school to take advantage of the programs that Fordham has to offer in these fields of study. These programs and courses equip students with the tools to finding solutions these problems, according to Pirson. “These students are learning how to problem solve and use design thinking to come up with solutions for these wicked problems that are not linear in nature,” he said. Gabelli’s curriculum gives students the opportunity to pursue these fields inside the classroom. Classes have been specifically created to allow for this, such as How to Change the World, which focuses on social innovation. Freshmen are able to integrate themes of sustainability into their business-plan project, a component of the mandatory Ground Floor course. Sophomores interested in learning how these ideas are relevant in the business world can choose to have their business core curriculum specifically geared toward these themes as well. 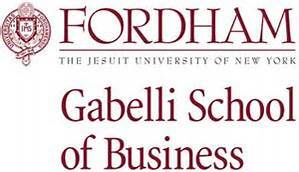 A concentration in social innovations or a minor in sustainable business is also available to students, and the latter is open to both the Gabelli School and Fordham College. Students at Fordham are also able to pursue these fields of study outside the classrooms at Fordham as well. This is done largely through the Social Innovations Collaboratory, a group on campus that works toward creating change. Through the Collaboratory, members of the Fordham community come together to identify problems and come up with possible solutions. The Collaboratory is a network which brings together people from all disciplines, according to Carey Weiss, director of Sustainability Initiatives. A non-credit practica in which the group worked with BMW executives was among the offerings. It has since been turned into a four-credit consulting class due to the success of the project. During the practica, students worked to find ways to increase sales of the BMW i3, an electric vehicle. The executives and Fordham students were able to find success through the various disciplines of the group, according to Weiss. “Combining different backgrounds and areas of study together allowed for meaningful work,” said Weiss. Lynch was one of the students who took advantage of this course. “My work in the course, as well as with the Collaboratory, has allowed me to pursue activities that are close to my values,” he said. For Lynch, the outdoors had always been one of his greatest passions. “Working toward creating social and environmental change on campus has allowed for personal growth, and I have always looked for that,” said Lynch. Some students use their education in sustainability and socially-conscious business in careers that allow them to continue being change-makers. Many students are choosing to work for companies that value these principles, such as Tesla and Unilever, according to Pirson. Some even start their own companies, like Olivia Greenspan, FCRH ’19. Greenspan co-founded Today’s Industrial Living Landscapes (TILL), a company that works toward regenerating brownfields, sites that are potentially contaminated due to former industrial use. “Climate change is both the obstacle and opportunity of our time. Failing to find a complex array of solutions that work holistically together is simply not an option,” said Greenspan. TILL is one such solution for our built world and the economies we choose to grow within it, according to Greenspan. Through the work that students are doing, especially through the Collaboratory, Jesuit values are coming to life, according to Weiss. “Growing and making change, that is our goal,” she said.